I’ve been home for almost three weeks straight and it’s been so, so great. As much as I love traveling and exploring new places, back-to-back trips (especially ones that are well over a week, sometimes longer!) can really take a toll on me after a while. It’s been wonderful to slow down a little bit and re-establish a sense of normalcy. The last time I had a few weeks at home was back in July and before that, it was prior to April. My needs and preferences are ever-changing, so it’s been kind of fun to figure out what my new morning routine looks like! There’s been so much press about the importance of morning routines in the last few years, which I think is awesome. (If you’re looking for a deeper dive, check out Miracle Mornings.) While I’ve never been an early riser, I’ve gotten a pretty good handle on what works best for me and my current schedule. I’ve always been such a fan of leisurely mornings… In fact, I think that’s one of the things I love most about traveling. (And thinking back to balancing the blog alongside my full-time corporate job, mornings were never my strong suit. There’s nothing I hate more than a frantic, rushed morning!) 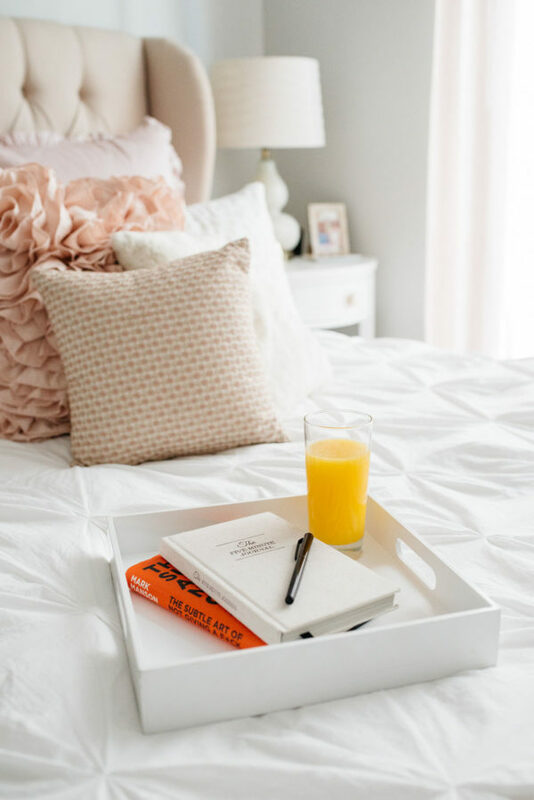 Personally, I think that’s what a morning routine is all about… Slowing down, savoring the moment, and easing into your day instead of rushing around, full steam ahead! We all know that Paris is like my home-away-from-home. Outside of somewhere I’ve lived, it’s the city I’ve spent the most time in. Whenever I’m in France, I find myself getting a glass of orange juice with my espresso in the morning and it’s become a little morning treat that I look forward to. (Maybe it’s because fresh-squeezed orange juice is the norm in Paris! Or maybe it’s because I’m always looking for a little boost to my immune system when I’m on the go…) Maison Plisson was the spot that Hallie and I would venture to each morning on this last trip… The best freshly-squeezed orange juice, great coffee, and to die for almond croissants. 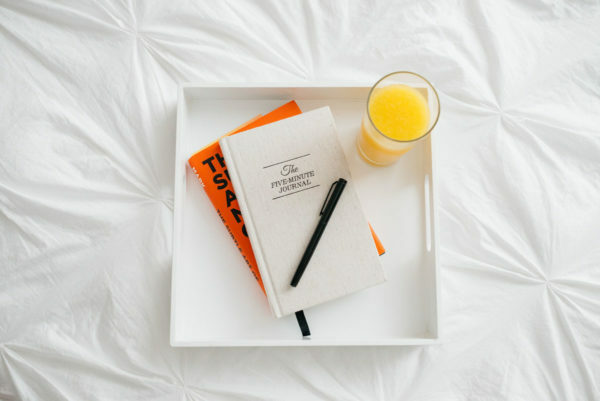 But now that I’m home and not planning much travel for the next few months, I’ve been trying to find to ways to strike a balance in my new morning routine… On one hand, a little routine that sets me up to feel successful throughout the day. And on the other, something that brings some joy to my mornings. We shouldn’t have to be away from home to feel that type of happiness in the mornings, am I right?! 1. Getting the day started with a glass of Trop50 juice beverage || Why should we save those little everyday luxuries for travel only? Starting the day with a fresh glass of orange juice almost makes me feel like I’m back in Paris. There’s something about it that just kind of wakes you up in the morning, isn’t there? 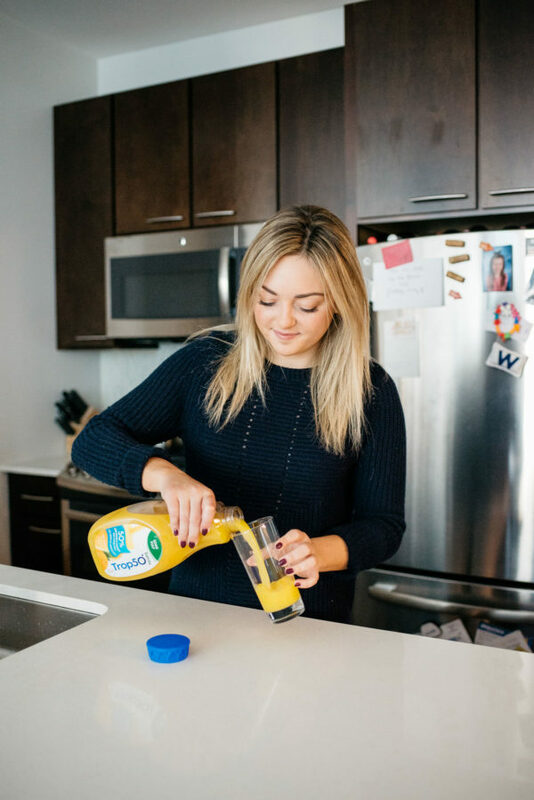 If you read last week’s blog post, you know that I’m really trying to limit sugar in my diet and that includes fruit, too. 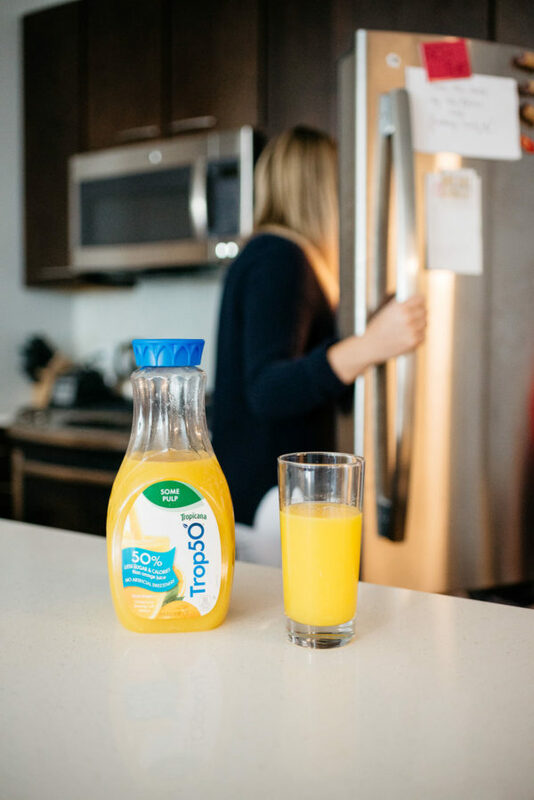 Trop50 is one of my #SugarHacks because you get that delicious taste of orange juice with 50% less sugar (and calories). It’s squeezed from fresh oranges and does not contain any artificial sweeteners! Plus, there’s 100% of your Vitamin C in one glass, which is much-needed this time of year! 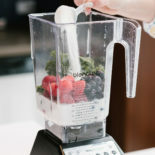 If you’ve been following my health adventures over the last few years, you may know that I hate bananas and I’m always looking for ways to get extra potassium in my diet. Trop50 is a good source of potassium, too! 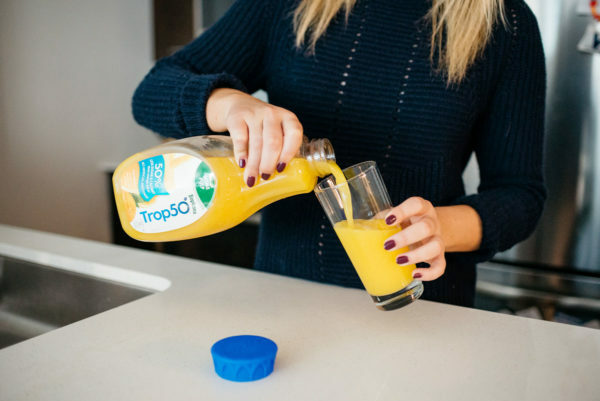 Check out Tropicana.com for more info about Trop50 and check out #SugarHacks on social media to get more tips and tricks for reducing sugar without sacrifice! 2. The Five Minute Journal || I’ve mentioned this on the blog before (read this post! ), but this little journal has been the biggest constant in my morning routine since I moved to Chicago. I’ve snapped a few of the morning quotes this week and I’ve had so many messages asking for the book! It’s not a book, but more so a journal that you just spend a few minutes filling out first thing in the morning and right before you turn out the lights. It’s so easy to implement and encourages you to start the day in a more mindful way. 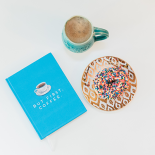 There are some mornings that I’m in a rush to get started on my to-do list(s), but I love that it forces me to sit still for a few moments and set my intentions for the day to come. I highly recommend it, and it also makes a great stocking stuffer! 3. Make Your Bed! 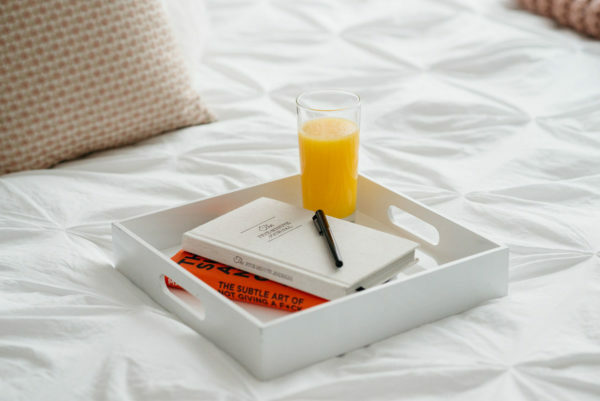 || I think there’s definitely something to making your bed each morning… Imagine that, something else our mom’s were right about! (I actually don’t think my mom was big on having us make our beds in the morning, I can’t remember.. haha) At least in the movies, it always seemed like something that was stressed to keep the house tidier. While that’s obviously a huge added bonus, there’s something about making my bed every morning that helps set a productive tone for the day. Maybe I’m just crazy, but making my bed helps me feel like I’m in the drivers seat* for the day and just makes me feel like I have my sh*t together, plain and simple. *another way of saying I feel like I’m in control, haha. 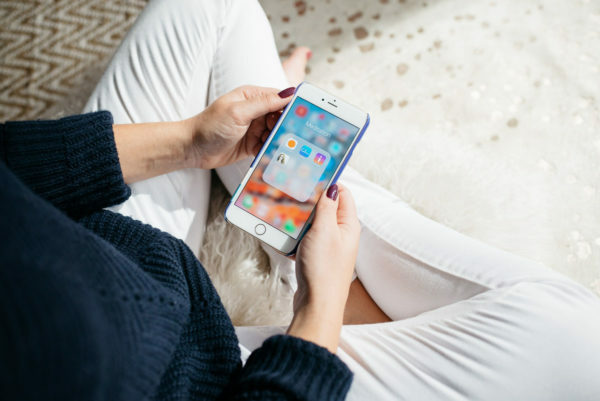 You know you’re a control freak when… Working on that. 4. Meditation || I’m going to do a full post about meditation because there’s so much ground to cover, but incorporating a meditation practice into my day has been hugely impactful! (And while I have you – any and all questions around the subject are much appreciated while I write that post to go live later this month!) I think there’s a stigma about meditation that it means “completely clearing your mind and not thinking.” In fact, that’s exactly why I would try my hand at meditating over the years and promptly quit because I “just couldn’t turn off my brain.” Sound familiar?! Thought so. More to come! It’s getting harder now that’s it’s quite chilly in Chicago, but I also make it a point to get outside everyday. It might not be in the morning, and it’s usually just to-and-from my workout, but getting some fresh air always does wonders for my state of mind. Yes, even when it’s cold! If I’m having a particularly stressful day or finding myself in a creative rut, getting outside for a little bit gets the job done nine times out of ten. You can read more about that in this post! Are you a morning routine person, too?! I’d love to hear some of the ways you start your day on the right foot! I have never heard of the 5-minute journal! I’ll have to give it a try! I LOVE the 5 Minute Journal! I highly recommend it. I am a morning person and I couldn’t agree with you more on enjoying the peace and serenity of morning while the entire world is asleep. Now that it is getting colder outside, it’s getting tougher to wake up but I still force myself to just because it is nice to get in that “me” time. I start off my morning with a warm glass of lemon, then prep the ingredients for my smoothie. After I make my smoothie, I try to do a 10 min meditation/yoga flow. I take a quick shower and get myself ready in less than 20 minutes. I recently bought the 5 minute journal but haven’t had a chance to use since I feel rush to get out of house due to my commute. I think I’m going to start to use it at night and then after meditation in the morning. I love this; thanks for sharing! 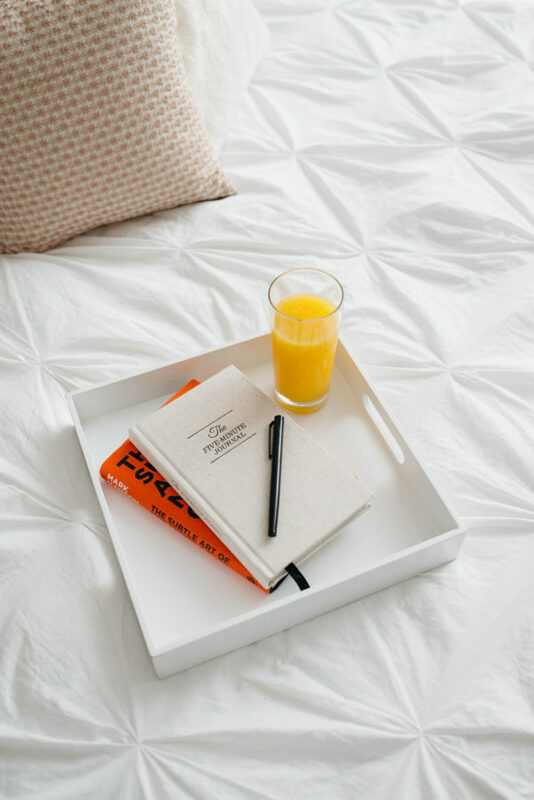 I’ve been trying to come up with a morning routine and love the idea of the Five Minute Journal (buying it on Amazon as we speak ) I also really love this Trop50 idea because vacation IS the only time I have orange juice but I like how you have it as a little treat in the AM and the benefits sound delightful! 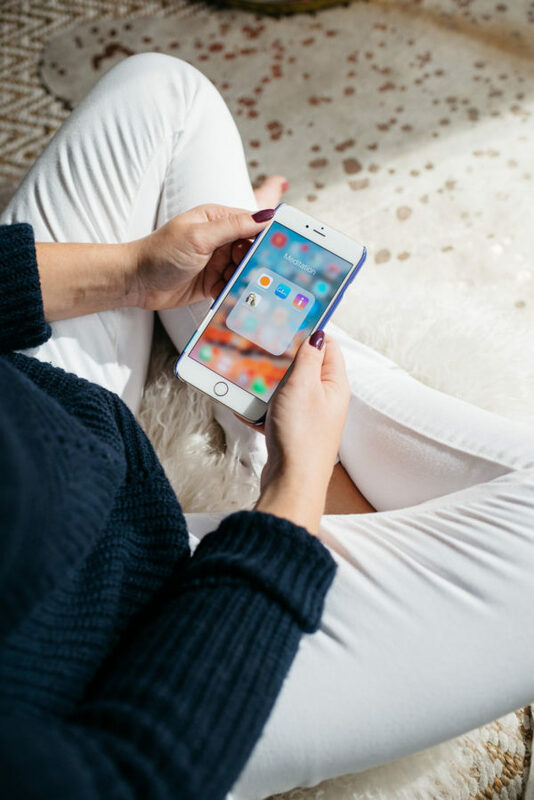 Have you posted on your meditations yet? I would LOVE to know what you do!